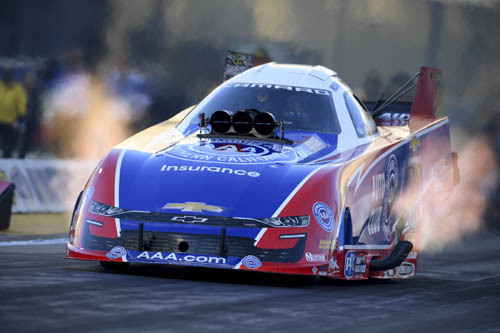 • Robert Hight's second qualifying run stood strong throughout Saturday qualifying for his 61st career No. 1 qualifier. POMONA, Calif. - Robert Hight sits atop of the Funny Car class following qualifying Saturday at the 59th annual Lucas Oil NHRA Winternationals presented by ProtectTheHarvest.com at Auto Club Raceway at Pomona. 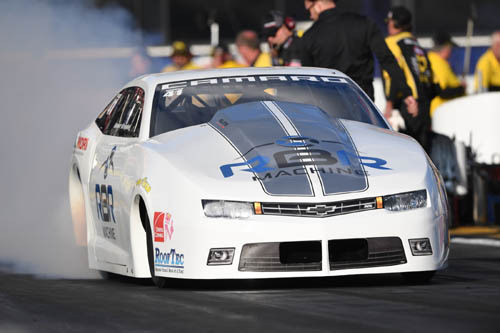 Hight's second qualifying run of 3.871-seconds at 329.67 mph from Friday evening in his Auto Club of Southern California Chevrolet Camaro stood strong throughout Saturday's qualifying efforts. After tallying three No. 1 qualifiers in 2018, he locked down his first of the season and 61st of his career. "We are here to show these guys we know what we're doing," Hight stated. "The guys worked hard over the winter and found some things we did wrong during the Countdown. Testing went well and we've won here quite a few times and been No. 1 qualifier here before, so we normally are able to shine when it counts." 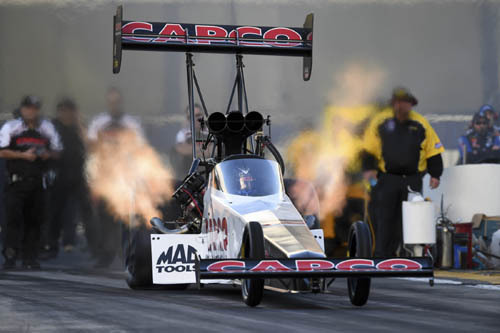 "We came here, and the dragsters weren't where we wanted them to be," Torrence said. "We made some changes this morning, learned from them and it played well for us during Q4. It's really humbling and unique to be a world champion in a class that is the pinnacle of the sport and to come out and compete is just a dream for me." "I feel good and I've got a great team," Brogdon stated. "We tested last week, and everything went really well. The Elite (Motorsports) bunch is incredible. I never really thought I could be No. 1, maybe top three with a good run, but I feel really good about this."